Engage:BDR has been around for more than 5 years in the LA tech scene. The successes Engage:BDR has right now, helps highlight LA as a city for tech companies to develop and grow. We talked to Ted Dhanik, the founder of Engage:BDR, about his company and the future of marketing. 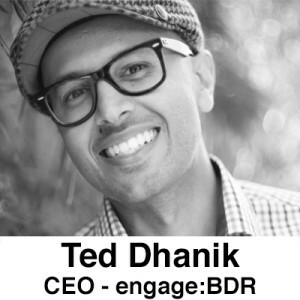 TechZulu: Tell me about yourself and how Engage:BDR started? Ted Dhanik: I started my career in Silicon Valley in the 90s. I moved in marketing for NextTag and I was part of the team that launched consumer lending products. After that, I was recruited by the CEO of LowerMyBills in its early days. I became friends with Tom Anderson and I jumped onto MySpace when it first launched. After MySpace was acquired by Fox, I learned that there was a huge market for ad inventory. I left MySpace in 2008 to help MySpace to monetize its inventory better. I started a business with two others and we started buying and reselling ad inventory from wholesale prices to retail. As the demands and supplies grew for advertising, we built a stable capital to create Engage:BDR. How much did Engage:BDR grow? Once we started growing in numbers and putting our team together, we built everything in-house. We built a lot of products to stabilize the company, such as full-serve and self-serve ad networks. We also license our ad serving technology to publishers, advertisers, and other ad networks. We serve several billion impressions a day. In addition to that, we are advertisers as well and we own about ten consumer brands to leverage our reach to monetize our inventory better. We have a launched a performance agency, technically a CPA product. So clients can now buy media from us by cost-per-action basis with addition to CPM. To progress and be LA tech-focused, we started incubating ideas. If it can grow exponentially and is a direct synergy to Engage, we can let it grow and be a part of the company. The core company has grown organically and we have a nine figure run rate for the next 18 months. AudB, a targeting technology, is a product to sell a lot of media and it does not build a lot of revenue. It is mainly to sell a lot more media in general and target people better. FullStream is our video ad network which is pre-roll, mid-roll, post-roll, and in-banner video. First impression, a self-serve platform, and Blink, our ad serving technology, we both built in-house. Entegrate, is the opposite of performance marketing. It is to produce branded content, to build custom content and leverage our ad network to distribute the content. Are incubating companies one of the main focuses of Engage:BDR? We are constantly incubating projects since Engage:BDR started. LottoGopher is one of our newly incubated companies that is just starting to emerge, which lets you buy lotto tickets legally in California. We built it from the ground up and is super-proprietary. But yeah, the fact that all of our projects are LA built is one of the main focuses we have. What obstacles have you faced while building Engage:BDR? Fear is one of the main obstacles. The minute you start raising money, you aren’t as careful with the money and changes the way decisions are made. It was a bottleneck to our growth and didn’t help accelerate the success of each project. When we build a licensable product and seeing clients use our technology and hearing from them directly really boosts our confidence. The clients who use and love our products, gave us confidence in what we built ourselves and the time we spent was well worth it. What are your main goals this year? Growing our self-serve business, our DSP. It has a lot of momentum and getting clients on board and to spend as well is part of the plan. Getting the ad server to be license to more publishers is another big goal. Launching of our new CPA agency, our performance agency, and I’m excited to get that thing going as well. Let’s talk about marketing. What’s your view of the future? I look at it super-granually, I see click to call online as a growing sector. Mobile direct response is another thing to watch out for. Marketing in general is heading in the direction of attribution. One of the biggest problems of offline marketing is the lack of attribution. Dollars were shifting online because of trends, but the reality is that attribution is key. Trending in the next couple years is to understand attribution and helping others understand attribution. What strategies would you consider when marketing for a client? First thing is, what are the client’s goals? Understanding the clients business and goals help us find what they are looking for. Awareness is the biggest key to the strategy. 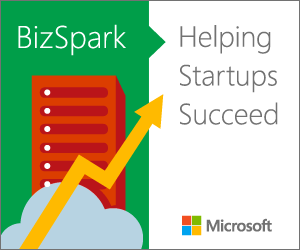 What advice would you give to new startups? It is really important to be connected to social media. Also, involve a publicist in the early stages, to create awareness. You can be a lot bigger than you appear to be. Like Engage:BDR, our brand makes us appear a lot bigger than we really are. You definitely want to create some impact. How do you differentiate yourself from other companies? We don’t have any direct competition, more indirect competition. A lot of companies do some of things we do, but they don’t have all the products that we serve. It’s really how we market ourselves and helps us stand out as a leader. How do you see the LA tech scene now? I see it is growing every day and has a lot of energy. There is a lot of love/hate relationship with Silicon Valley and LA. I participate regularly to help mentor new startups and help build the LA tech scene. I think Digital LA started a great movement. It’s been infectious and everyone is getting smarter and supporting all the new startups and gigs that are and will be appearing in the near future here in LA. Thank you Ted for your time.